Are you or a family member suffering from gout? Well, this is not good news. Actually, if you have gout, there is nothing you could do to stop its attack once it has started, but there are still things you could do to take care for a gout flare right at your home. Would you like to know what those things are? 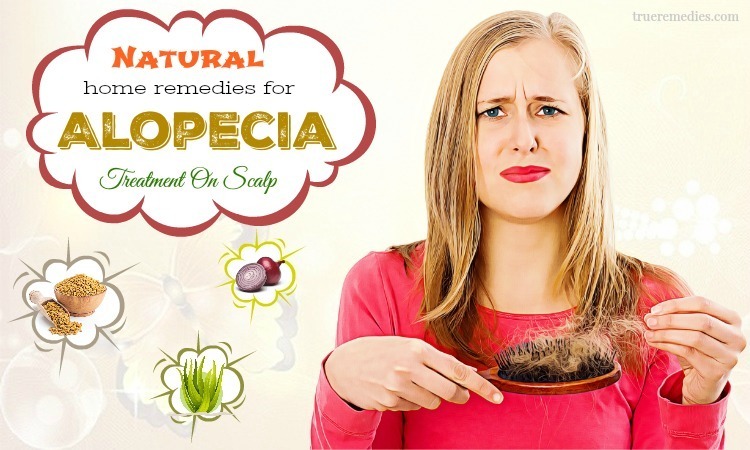 Before that, you had better understand about the basics of this condition. Gout is a kind of disease causing pain in one or more than one joints in our body, including the ears, the joints in our hands, feet, knees and ankles. The person catching gout often feels extremely painful in the joints which bother them so much. It is believed that the root cause of gout is unknown. However the high level of uric acid is one of the commonest indications of gout. 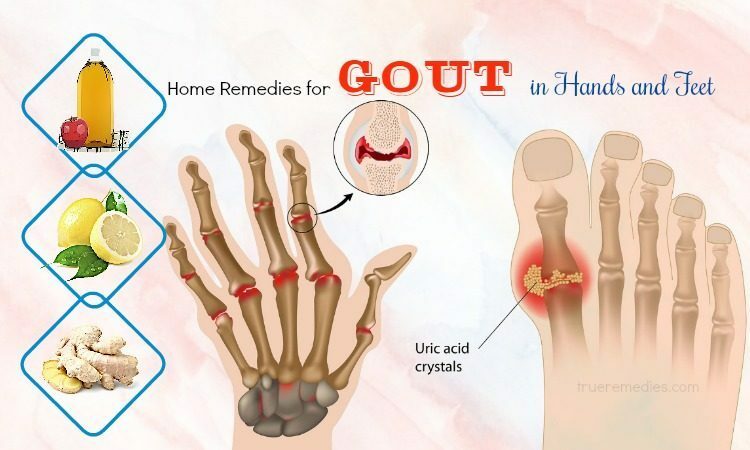 In addition, gout can be resulted from genetics, alcoholic consumption in great amount, laziness of physical, protein consumption in great amount and being so stressful. Gout can lead to many other serious types of diseases, including diabetes, kidney stones. So, controlling gout is very important. If you get gout, firstly you will feel painful in your big toe normally after an illness. Additionally, your feet joints, including your knees and ankles are painful, too. All these symptoms often bother you at night. Hindered motion: You will find a little bit difficult to move the joints easily. Intense pain at the joints. The joints become inflammable and red. These following factors can lead you to face the risk of getting gout. Diet: If you eat meat, seafood as well as the foods enriched with sugar regularly, you have higher risk of facing gout. Additionally, drinking alcoholic drinks, such as beer and wine in the great amount contributes to increasing your risk of gout. Obesity:The heavier you are, the more the uric acid was produced. So, you are likely to get gout. Your health conditions:If you are suffering from some kinds of diseases, including high blood pressure, diabetes, etc. you are more vulnerable to get gout. Family history: If any your family members caught gout, you have higher risk of getting gout. Sexuality: Men are likely to get gout more than women because their uric acid is often higher than that in women. Besides using apple cider vinegar as a remedy for headaches and stomachaches, people often use it as one of the home remedies for gout. Let see how you can do with apple cider vinegar to cure gout. Take one teaspoon of apple cider vinegar (raw and unfiltered one) and put it in a glass. Soak a cloth in apple cider vinegar. Secure it to the joints which are affected by gout. Leave it overnight to relieve pain. Put apple cider vinegar in a spraying bottle. Place the bottle in freezer for some few minutes. Spray the apple cider vinegar over the areas affected by gout every hour. Ginger root contains the compounds to combat against inflammation. Therefore, it is one of the common home remedies for gout. Take the powder of fenugreek, turmeric and ginger root with the equal amounts of them. Add some warm water in the mixture above. Consume raw ginger root every day or add it in your daily dishes. Put a half of teaspoon of ginger root in a glass. Add boiling water in it. Mix it thoroughly and consume it every day. Put ginger root powder in a glass. Add some water to create a thick paste. Use the paste to relieve the painful areas. As you know, increasing uric acid is one of the factors leading to gout. Whereas, baking soda is very effective to decrease the level of uric acid in your body. So it is considered as one of the effective home remedies for gout. 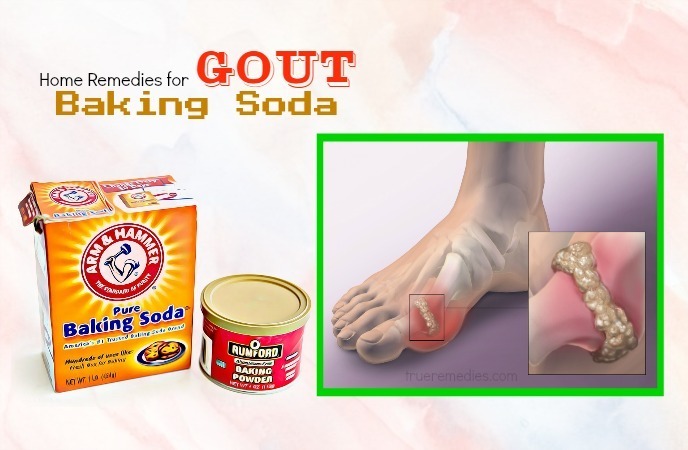 Here is what you can do with baking soda to save you from gout. Take ½ teaspoon of baking soda. Consume the mixture 4 times every day. Apply the method for about 2 weeks. Note: Using the mixture more than 3 times every day is not recommended for the persons over 60 years old. The remedy is not for the persons suffering from hypertension (high blood pressure). With only a lemon juice, you can balance the level of uric acid in your body easily, relieving you from gout pain. It is used as one of the effective home remedies for gout that you can apply by yourselves. Prepare a mixture of lemon juice and baking soda with the proportion of ½ teaspoon of baking soda and the juice of a lemon. Leave it for 3 or 4 seconds. Add some water and consume it immediately. Add some water to the juice. Cut a lemon into small slices. Drink it twice every day. Cherries are used as one of very effective home remedies for gout thanks to its antioxidant . Actually, cherry was claimed to be associated with a 35% lower risk of gout attacks. If cherry intake was properly combined with allopurinol use, which is a prescribed medication for kidney stones and gout, the gout attack risk was about 75% lower. Cherry juice, in fact, has similar benefits to the celery juice. Eat about 20 cherries every day. You can use black cherries. Squeeze some cherries to get the juice. Add a clove of garlic to the juice. Epsom salt is another one of the wonderful home remedies for gout. Its high level of magnesium greatly contributes to relieving the painful joints and muscles . Here is how to use it for curing gout. Dissolve an amount of Epsom salt in the bathtub (the recommended amount is 2 cups). Let your body soak in the bathtub until you feel it is not warm any more. Apply this method once every week. Increase the frequency of it (twice or three times every week) if you suffer from severe gout. You may feel so surprising at the wonderful effects of bananas- the kind of fruits you may eat frequently- to gout. Therefore, it is used as one of the home remedies for gout worldwide. Bananas contain the high level of potassium as well as vitamin C, helping to relieve the swelling and the painful areas caused by gout. Let see how you can do with bananas. Eating 1 or 2 bananas every day will be the simplest way. Add ½ cup of yogurt to the blender to mix it well. Like bananas, apples are commonly used as one of the simple and effective home remedies for gout. It is recommended that the persons getting gout should eat apples after their meals every day. 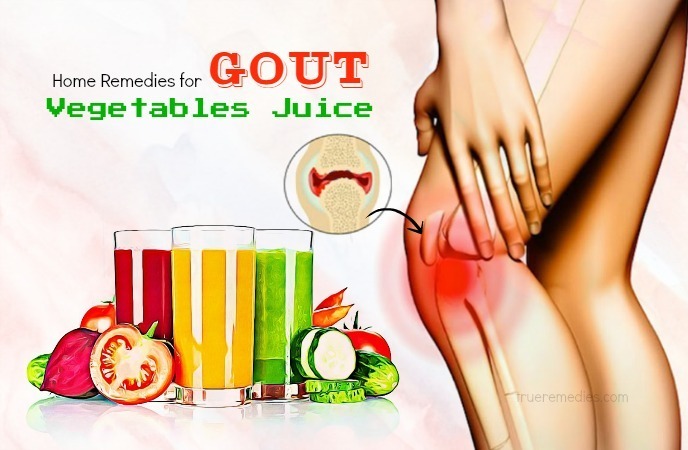 It can be explained by the malic acid in apples, having the wonderful power to neutralize the level of uric acid as well as relieving the inflammation and pain due to gout. Simply follow the formula below. Eat some apples every day after your each meal. Put some apples in a blender. Get the liquid and drink it every day. 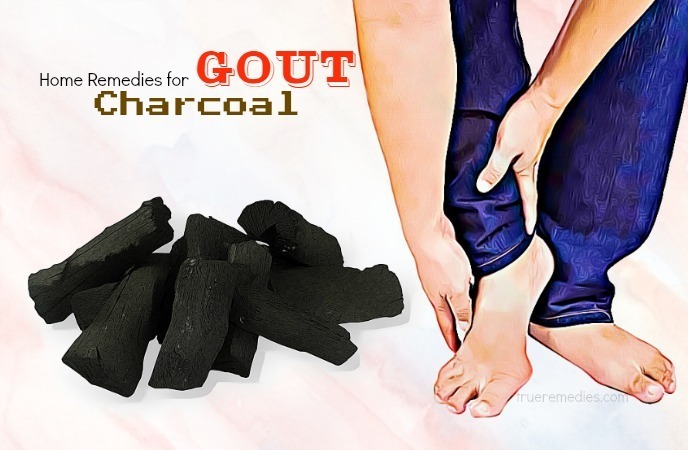 Charcoal has the power to lower uric acid, which is beneficial for treating gout. It is every easy to find charcoal. So don’t hesitate to try on this remedy for treating your gout. Take charcoal powder (the recommended amount is ½ cup) and put it in a pot. Add some water and mix it well to create a paste. Place the paste in a bathtub and add some water. Let your painful joints soak in the bathtub for 30 minutes. Apple the paste to the painful and swelling parts. Let it dry naturally for about 30 minutes. Wash it out with warm water. Consume charcoal capsules every day upon your doctor’s prescription. Pour cold water in a bathtub. Let the inflamed and painful parts in the bathtub for about 15 minutes. Take some ice cubic and wrap them in a cloth. Cover it on the painful and swollen areas. Apply this remedy 2 times every day. Consuming celery seed extract as well as celery juice is another one of the most powerful home remedies for gout. It is commonly used to treat the condition of inflammation caused by gout. Some researchers have showed that many antioxidants are responsible for the benefits of celery . 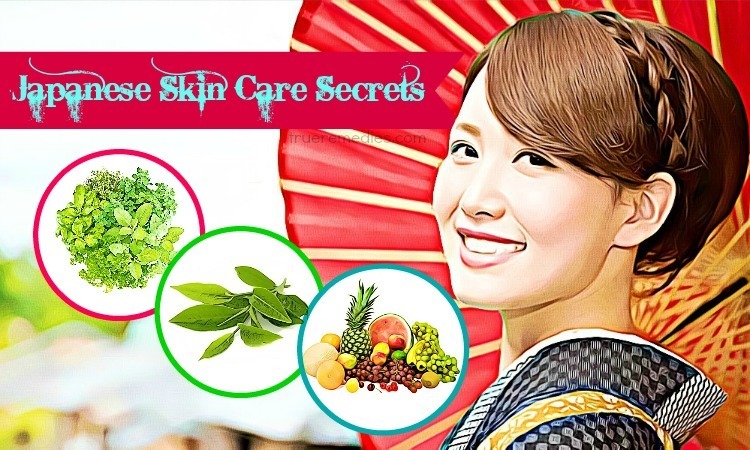 They include phenolic acid, caffeic acid, and ferulic acid, along with flavaols like quercetin . Besides its effect to gout, it is very useful for curing some kinds of disease, such as skin problems, kidney infections, etc. Consume celery seed extract every day. Take some celery which was cleaned. Put them in a juicer. Drink the juice every day. Because of its anti-inflammatory property, nettles are also worth mentioning in this list of effective home remedies for gout . You could buy it in the tea form. According to a review of those commonly used herbal treatments, containing nettles, launched in Toxicology & Applied Pharmacology, it relays the standing of the nettles as the drink or a tea. Also, it is great to use for treating gout. Clean 5 or 6 nettles leaves. Let it cool and drink it every day. Let it cool and add some drops of honey. Put a pack in boiling water. Fish oil is rich in omega-3 which greatly contributes to reducing the inflammation caused by gout . Fish oil over time could reduce your potential risk of gout as one of health benefits of fish oil is that it is jam packed with omega-3 fatty acids which are able to alleviate disease-causing inflammation in your own body. Because gout is a form of arthritis while fish oil has been officially proven to be good for treating arthritis, it makes sense its content of omega-3 benefits gout sufferers. Take fish oil capsules based on your doctor advice every day. Digesting too much sugar and soda can lead to you face the risk of getting gout. So it is also one of the easy home remedies that you can apply to get gout away from you. Drinking a lot of fresh water is also one of the home remedies for gout. It is because water greatly contributes to decrease the level of uric acid, leading to gout. Some kinds of vegetables, including cucumbers, carrots, etc. are very rich in a number of minerals and vitamins. So, they are very healthy for our health. It is not surprising that they are chosen as one of the effective home remedies for gout. Let see how you can do with them for gout treatment. Put some beet and cucumbers in a blender to get the juice (the recommended amounts of each is 100 ml). Put carrots in a blender provided that we have 300 ml of carrot juice. Drinking French bean juice is another one of the effective home remedies for gout because it can help to decrease the level of uric acid. Wash French beans and put them in a blender. Limes contain citric acid which helps to lower the level of uric acid in your gout. Therefore, it is considered as one of the powerful home remedies for gout. Please try it and you will see some significant improvement. Squeeze ½ of a lime to get the juice. Drink the mixture 2 times every day. Thanks to containing anti-inflammation, berries, including blackberry, blueberry, strawberry, etc. are ranked as one of the home remedies for gout that people often apply. In addition, it is rich in vitamin C and antioxidants. All these properties greatly contribute to reducing the swelling and the pain caused by gout. You can include berries in your diet by the following ways. Eat some raw berries every day. Wash an amount of berries. Bromelain is one of the enzymes which are very good for our digestion system. 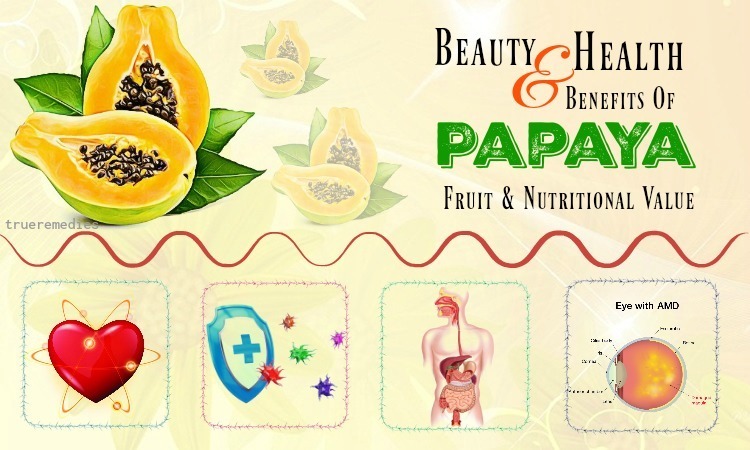 Bromelain is the extract of pineapple cores and it can decrease the level of uric acid. It has the ability to save your joints from swelling and pain due to gout. That is the reason why it is used as one of the home remedies for gout. Here is the suggested way for using bromelain to treat gout. Take a pineapple and wash it carefully. Peel it and cut it into small slices. As you know, garlic is considered as the magic herb for preventing and treating a number of diseases. The property of anti-inflammation of garlic is powerful to relieve the swelling and pain bothering you. Let try and see its effect. There are some ways that you can do with garlic to treat gout. Eat a pod of raw garlic every day. Add garlic to your food every day. Vitamin C is also one of the home remedies for gout that you can apply. You can easily find vitamin C in many kinds of fruits, such as oranges, lemon, kiwi, etc. Eat the fruits containing vitamin C every day. Take vitamin C supplement 2 times every day (The recommended dosage is 500 – 1000 mg). Castor oil is also one of the commonly used home remedies for gout that you should try. 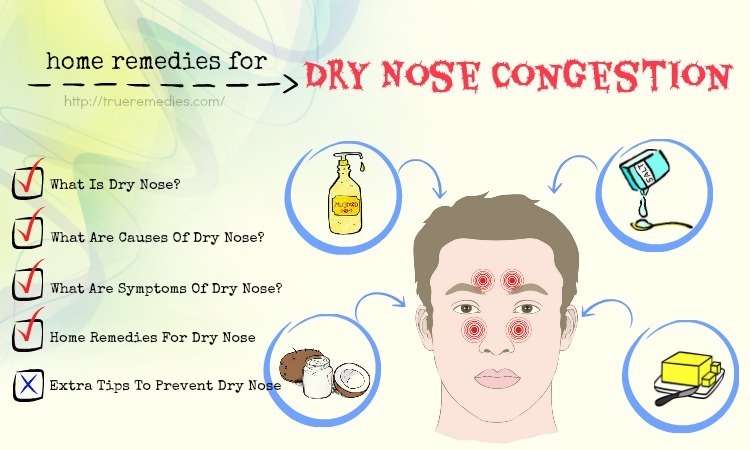 This method will help you to relieve the pain and swelling due to gout. The steps to apply are very simple. Pour castor oil in a tub. Put a cloth or a towel in the castor oil. Cover the painful joints with the cloth or the towel soaked with castor oil. Ensure the cloth or the towel with a bandage. Hydrotherapy is a very good way to reduce the pain and swelling in gout. Prepare a basin of warm water and another of cool water. Put your painful joints in the basin of warm water. Let them still for about 60 seconds. Put your painful joints in the basin of cool water. Also let them still for about 60 seconds. Then change to the basin of warm water. Apply the repetition for 7 times. Fenugreek seeds have the effect to relieve the inflammation in gout. Therefore, you can use it as one of the home remedies for treating gout. Put one teaspoon of the seed in a cup. Add some water in it and leave it overnight. Consume the liquid as well as the seeds in it every morning. Consuming carom seeds and ginger will help you to sweat, reducing the level of uric acid in your body. Ginger, as we all know, has its wonderful power to save us from the swelling and the pain. Mix ½ teaspoon of carom seeds with a small slice of ginger. Put them in a pot and add some water. Divide the liquid into the 2 equal amounts and drink the one in the morning and the other in the evening. Thanks to containing antioxidant helping to lower the level of uric acid, people also consider coriander as one of the effective home remedies for gout. Wash some sprigs of coriander carefully. Turmeric is as effective as ginger in treating gout. Therefore, it is also used as one of the home remedies for gout that you can easily apply by yourselves. Mix an amount of turmeric powder with a cup of coconut milk. Put an amount of turmeric powder in a cup. Add some water and consume it every day. 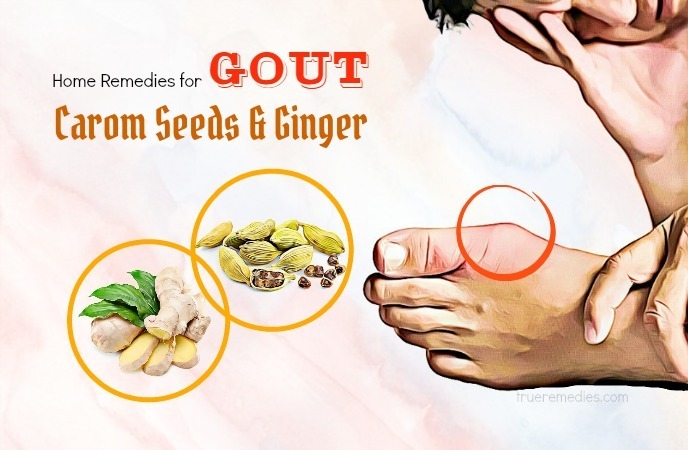 If you are suffering from gout, please remember that besides applying the remedies above, a suitable diet also plays an important role in improving your gout condition. Many studies show that a lot of dietary items we are consuming lead to gout and other health issues. Changing your diet as well as lifestyle might be an easy way to beating gout. And one of the initial things to do is to add and eradicate some specific foods along with drinks from your diet. Here is the suggested diet for you. Include high-fiber foods in your diet, such as fresh vegetables, fruits, etc. because these are very good to lower the level of uric acid in your body. Try to eat fresh berries every day because these can balance the level of uric acid in your body. Drink as much water as you can. Water is good for curing most diseases. 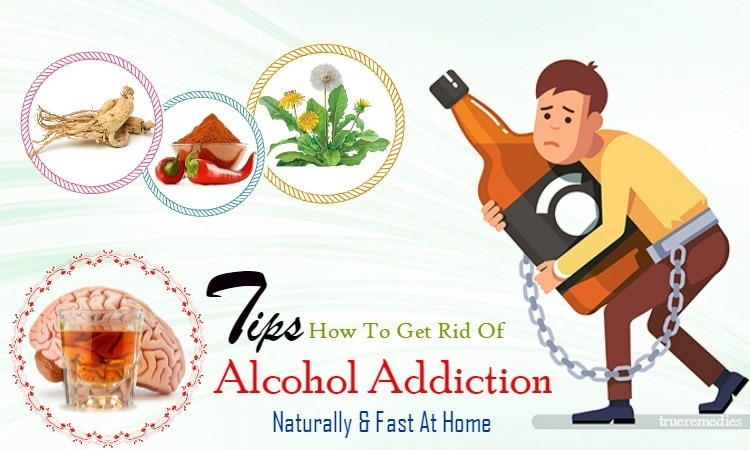 Try to avoid fried foods, alcoholic drinks as well as the food containing refined carbohydrates, such as sugar because these kinds of foods and drinks will make your gout worse. Do exercise regularly. Doing exercise is very good for your health. It helps strengthen your immune system to combat different kinds of diseases. So, doing exercise also helps you to prevent gout. 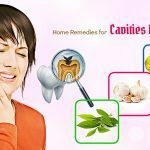 We hope that you have gone through all of our 48 home remedies for gout that you can easily use at home to help yourselves not to suffer from the bothering pain and swelling caused by gout any more. 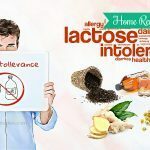 If you want to share any ideas about our article of “48 Home Remedies For Gout In Hands And Feet” introduced in Home Remedies Category, feel free to leave your words below this post. We will try to give feedback as soon as possible.